Welcome to the Funcave » What’s In Response Point Service Pack 1? What’s In Response Point Service Pack 1? Why…a whole heaping heap of sugary goodness, that’s what! 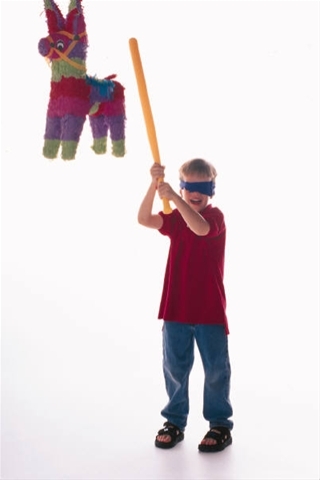 Kinda like a pinata, except without a stick being swung wildly by a blindfolded kid like a crack addict beating a wino. First and foremost, SP1 adds the long-awaited SIP trunking to Response Point. You will be able to configure VoIP based services for outgoing calls, in addition to the analog line support that has always been available with RP. The Response Point team has been working with a handful of VoIP service providers to assure a smooth configuration process. Analog and VoIP services will each use a different dialing prefix, so users can easily specify which kind of connection they want to use for a given call. Direct Inbound Dialing comes with SP1 too, adding the ability to send all calls to a particular number directly to a specific user or group. For Running Antelope, this feature will be like manna from Heaven, as it will be a key addition to the system here at the Funcave. Some call reporting arrives in SP1 as well, which is an excellent feature for billing, tracking, troubleshooting, or just seeing if your employees are wasting time calling their boyfriends or girlfriends. It’s said to be pretty basic, but should do the trick. Response Point Assistant also gets some sweet sweet lovin’ with SP1, adding both the ability to see the call status of all users on the RP system and to dial another RP user through an RP handset by clicking in the Assistant window. The click-dial feature stops short of being a true softphone, however. According to the team, Service Pack 1 should arrive in an easy-to-use installer package, which is slated to drop later this summer. And easy is a good thing, right? If you want more information, Richard Sprague from the Response Point team will be discussing RP and SP1 during the last third of the 10 o’clock hour tomorrow morning as part of Microsoft’s Small Business Summit-a-palooza.